Have You Seen Durham's Public Herb Garden? I have not seen the public herb garden in Durham, North Carolina. 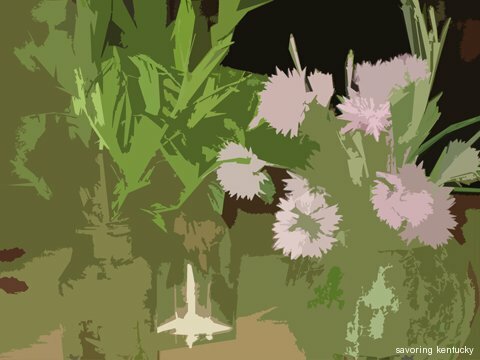 I had never heard of a public herb garden until I read the phrase in this beautiful story an alert loved one forwarded. The New York Times story describes the changes in what people in Durham eat since the farms near them converted from tobacco to vegetables. Like our neighbors to the south, we are experiencing some of the same positive post-tobacco changes in how we eat and what we grow in Kentucky. I haven't heard of a public herb garden in the Bluegrass yet. Given the amazing energy all around us here, and the productive pace Seedleaf, John Walker (Edible Garden Series and Urban Gleaning), and people energized at the recent Now What Lexington event are setting, I'd lay odds someone in my city is collecting herbs or drawing plot designs right now. We live in amazing times, and I live in a place of promise. You do too.